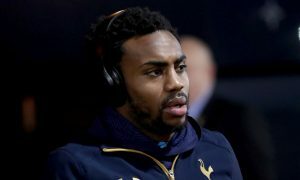 Danny Rose is less than happy with Tottenham’s approach to the transfer market and his big interview, where he questioned the club’s ambitions and hinted at a future away from White Hart Lane, has gotten everyone talking. Rose did something that would anger almost any fan base – he went to The Sun and gave a candid interview, saying some things that might have been better discussed in private with Daniel Levy, such as complaining about the terms of a contract he signed less than a year ago. The 27-year-old was hugely complimentary of Manchester City after seeing Pep Guardiola’s side take apart Spurs during their pre-season tour. “I know it was only pre-season but I watched the game against Man City and I was just in awe of City,” the England left-back told SunSport’s Dave Kidd. “They only had Kyle Walker, Danilo and the goalkeeper Ederson out of the players they’ve just bought. “Speaking to some lads when they got back, they’re saying: ‘City are taking off £200million and then they are bringing on Aguero, Toure and Sane’. That just speaks volumes to me. One could almost see that as a love call to City, while Sky Sports has this morning claimed that he would like a move to Manchester United or Chelsea, City’s name not included because they have spent all they plan to on full-backs for one summer. Rose was a target for Guardiola, along with his former Spurs teammate Kyle Walker who recently made a switch to the Etihad. In a recent article for The Times, Paul Hirst revealed that Guardiola would have liked to have signed Rose and the interest was mutual, but Rose’s knee surgery put an end to City’s immediate interest. If Rose does stick it out for another season at Spurs, with City only having one left-back (Danilo able to cover comfortably, but being a natural right-back), could Pep look to complete his new set of full-backs in a year’s time with a move for Rose?